To customize your Teamup Calendar, open your calendar with an administrator link. Then go to Settings > Identity. In the identity section, you can configure the calendar title, logo, header background, and font color. By changing the logo and the header colors, the look of your Teamup Calendar can be match your branding and organizational identity. You can also choose to disable the header entirely. Doing so results in a lean, space-saving format. This is a useful configuration if your Teamup Calendar will be embedded into an existing web site, or viewed primarily on mobile devices with smaller screens. Calendar Parameters can also be used for this purpose, should you wish to hide the header area only in certain cases. 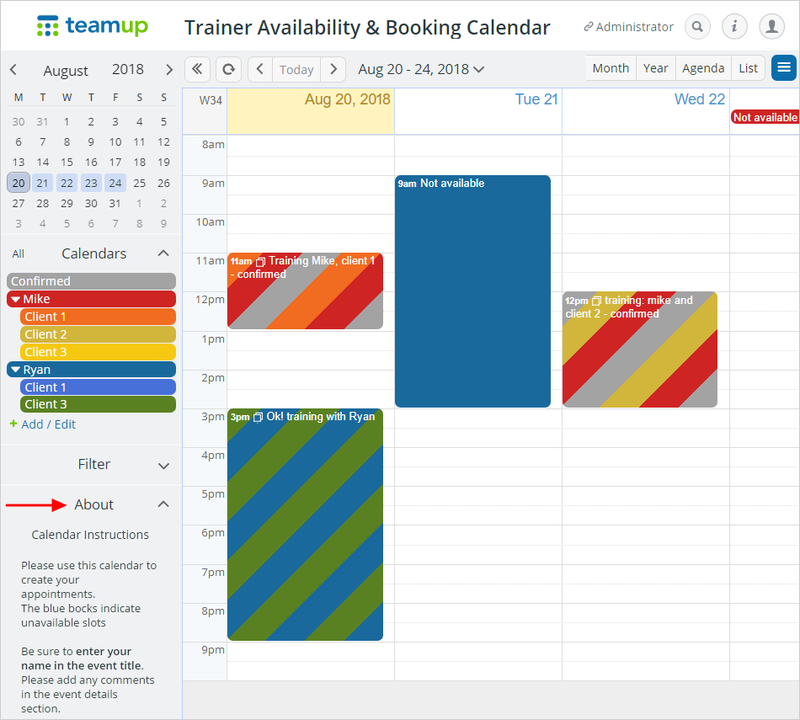 The about box is a small information section that displays in the left control panel of your Teamup Calendar. 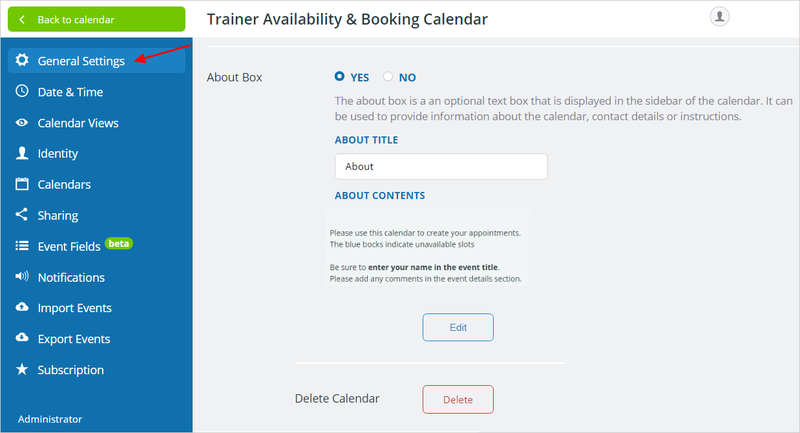 You can customize the contents of the about box to display company information, helpful links, instructions for calendar use, or other information relevant to your organization. If you disable the About Box (check the No option), it will no longer display in the left-hand control panel.